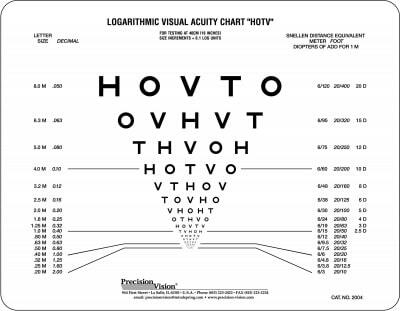 Developed By: Bruce Moore, O.D. 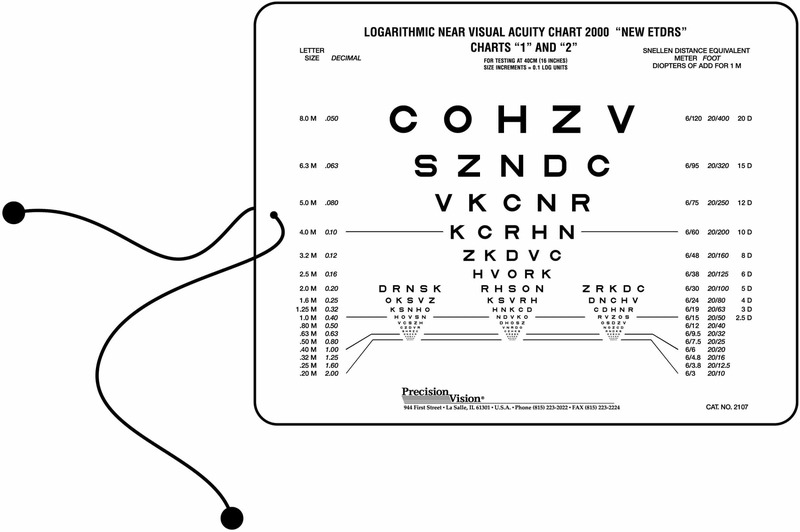 and Jean Ramsey, M.D. 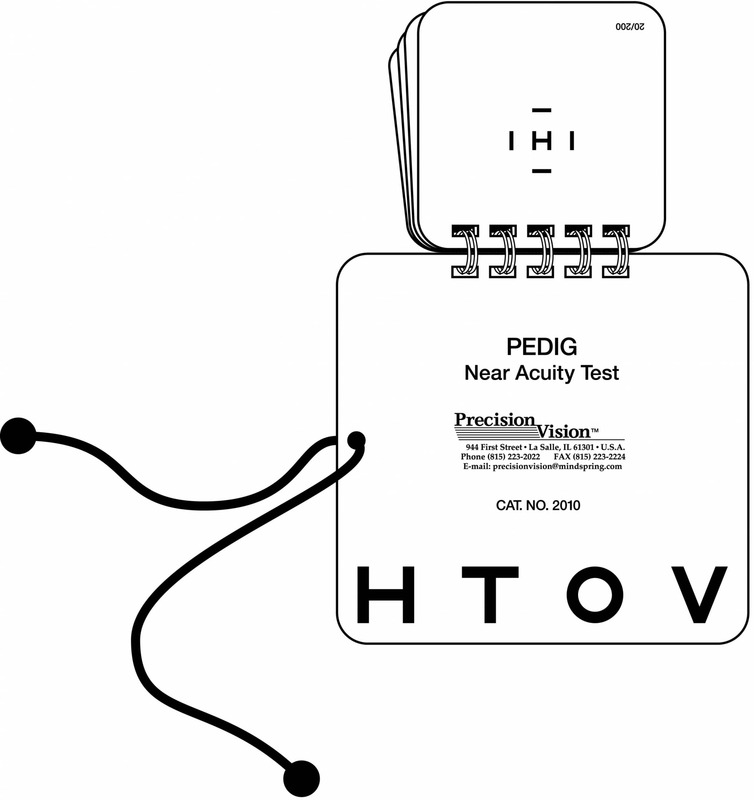 HOTV Developed By: Otto Lippmann, M.D. 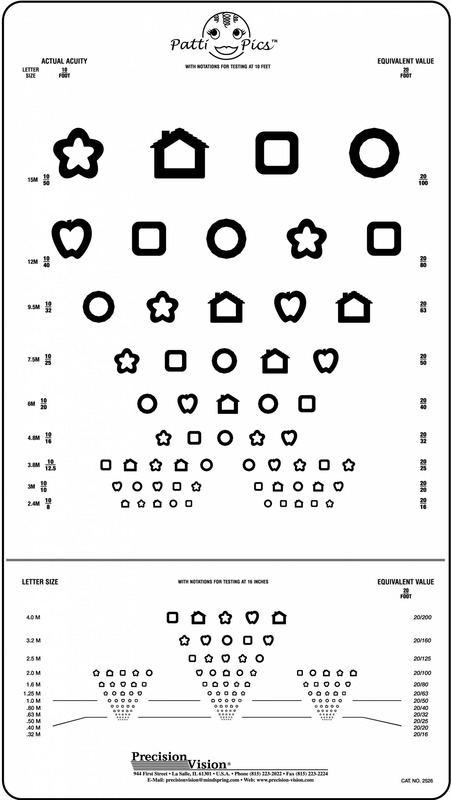 MassVAT Designed by: Luisa Mayer, Ph.D. and Bruce Moore, O.D. 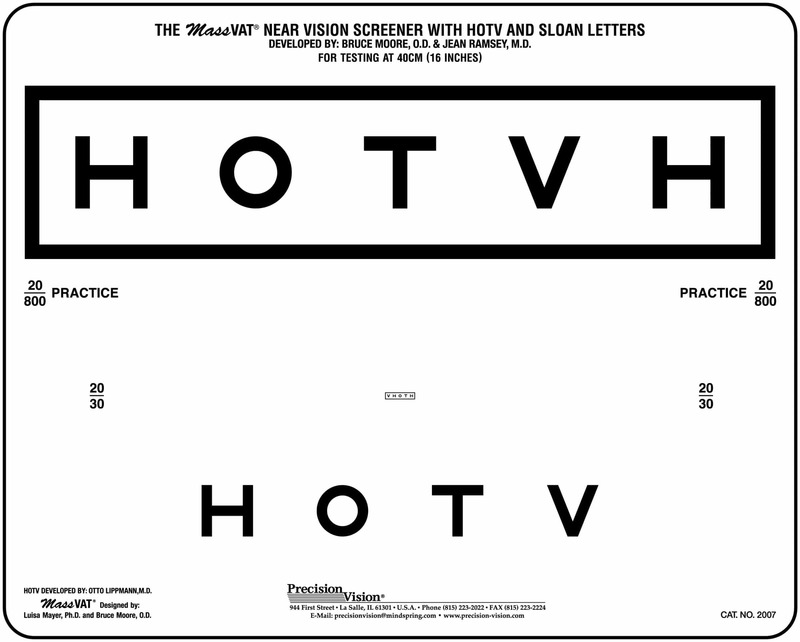 HOTV optotypes on the front with response key and Sloan Letters on the back. 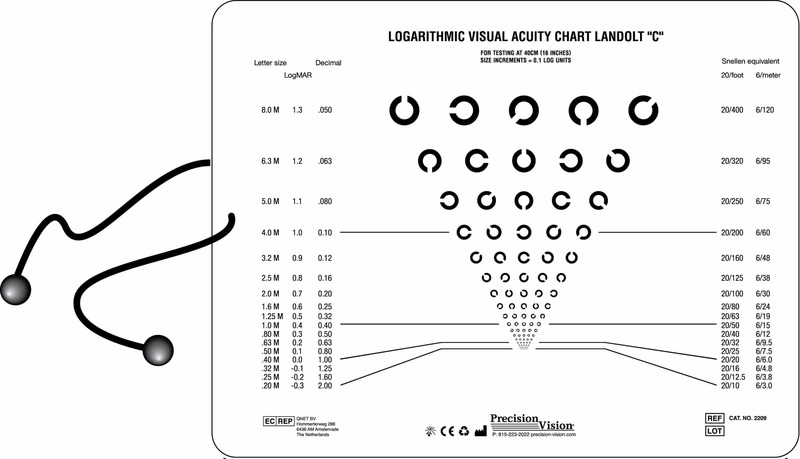 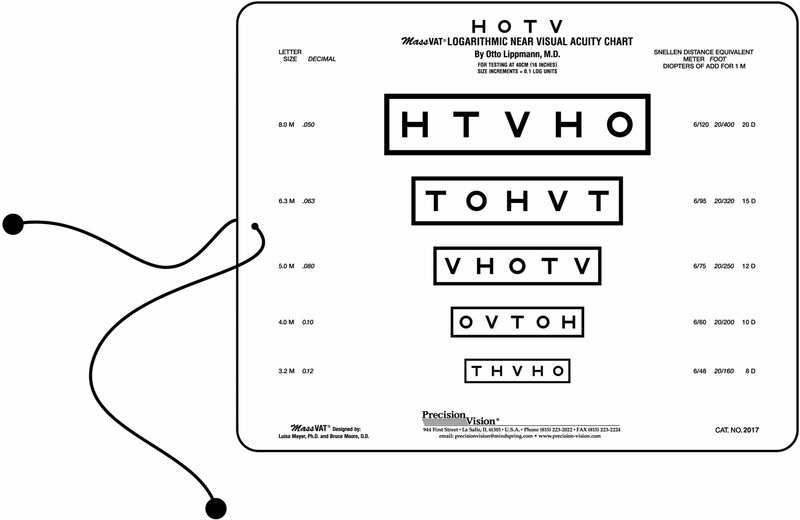 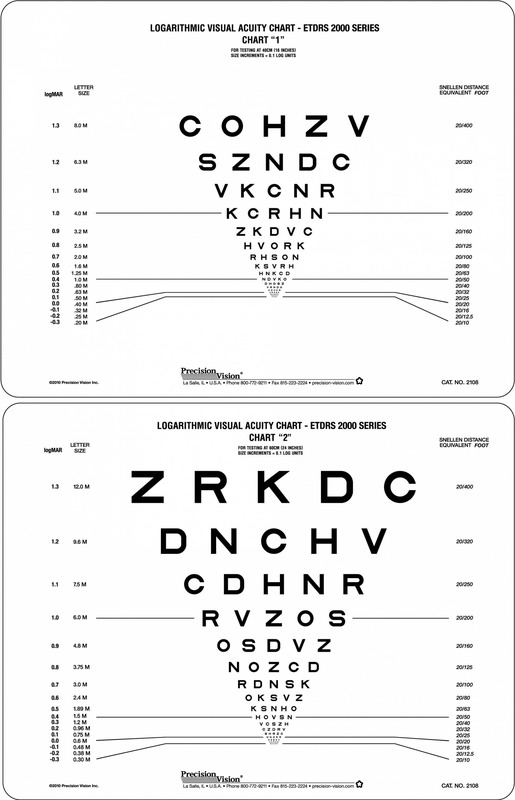 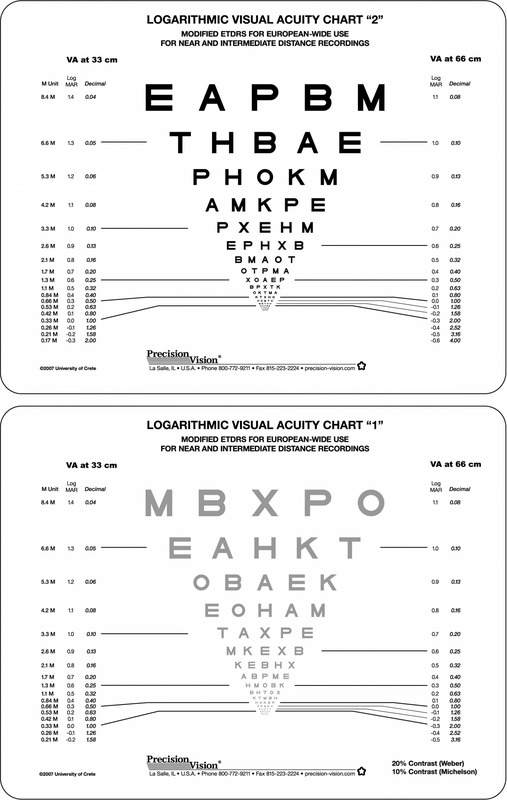 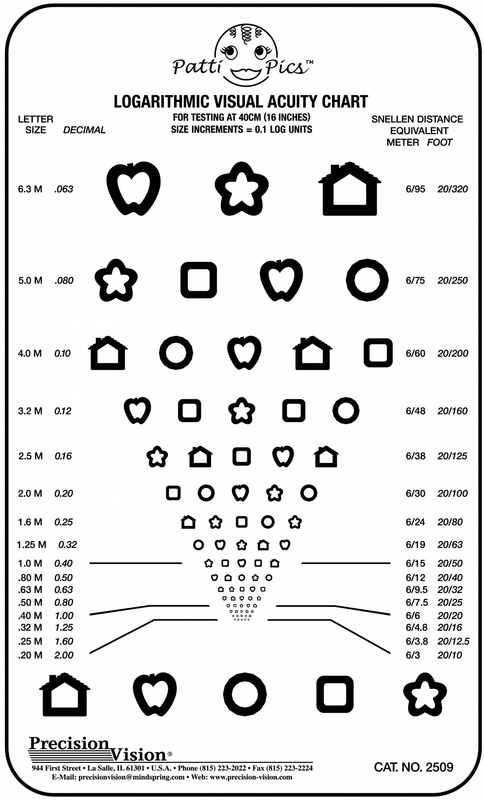 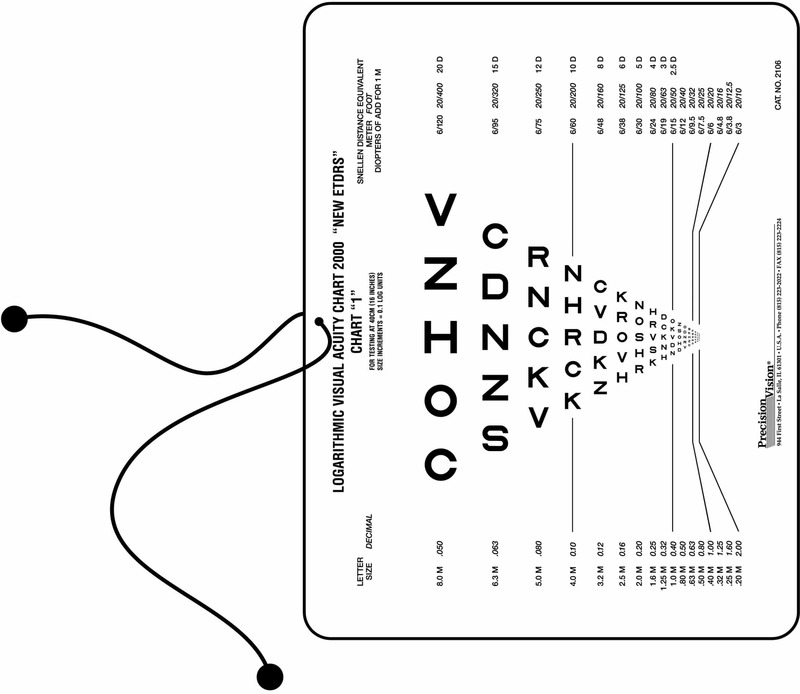 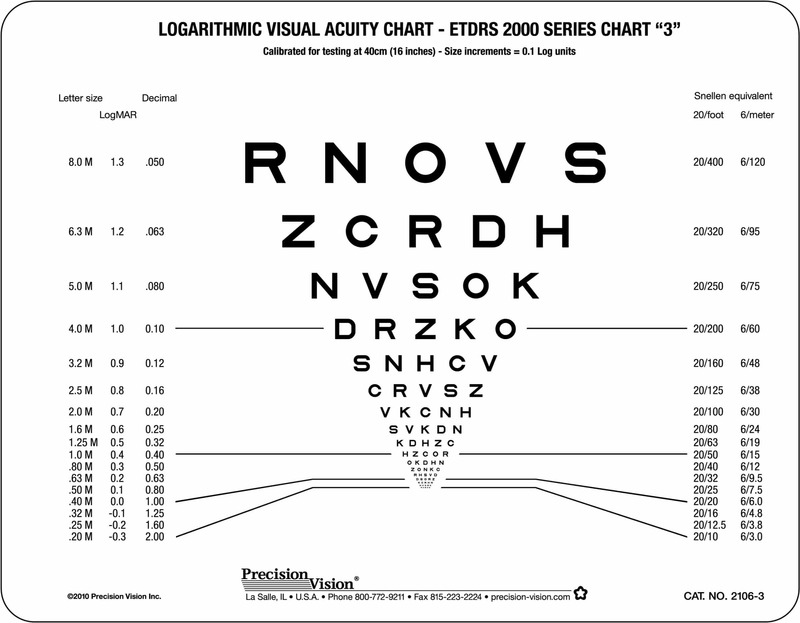 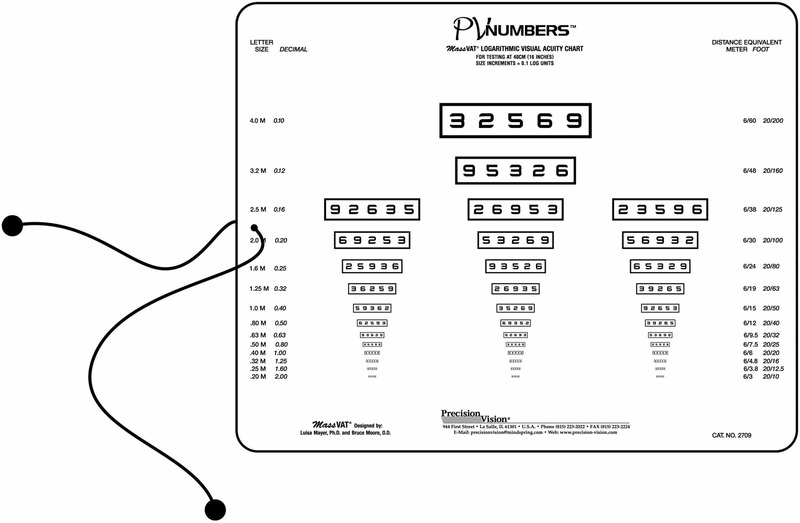 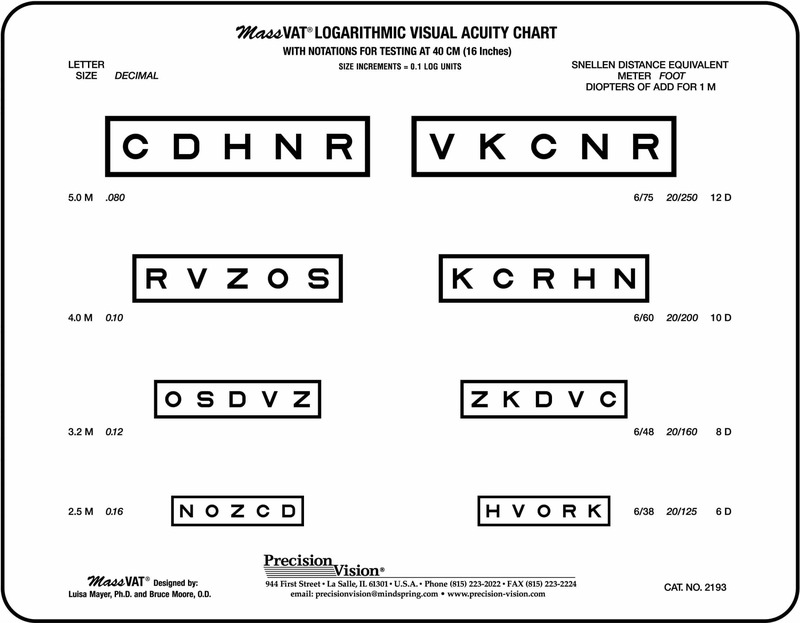 This acuity near vision chart features HOTV optotypes for use with patients ages 3-5 years or older children. 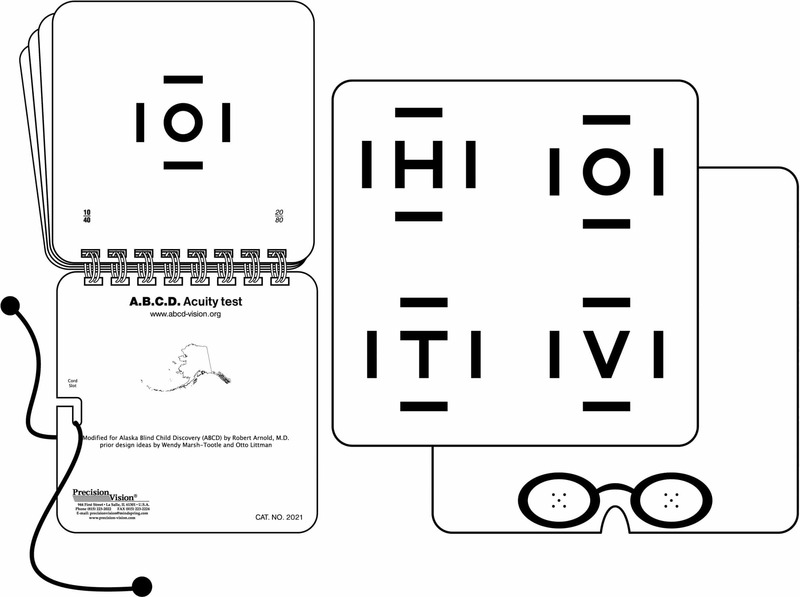 Sloan optotypes used for older literate children. 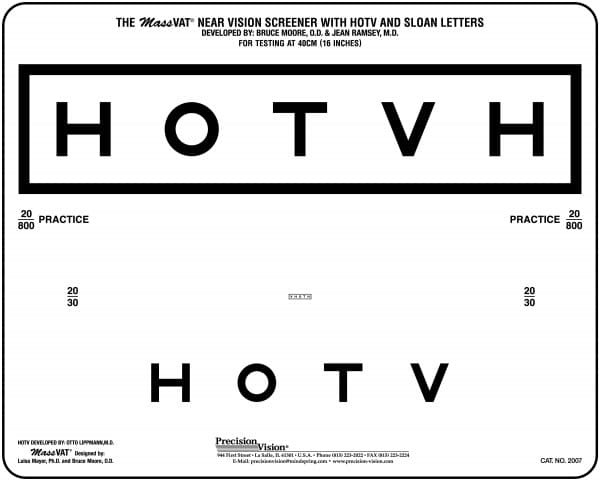 This vision test is great for school screenings, or clinical screenings. 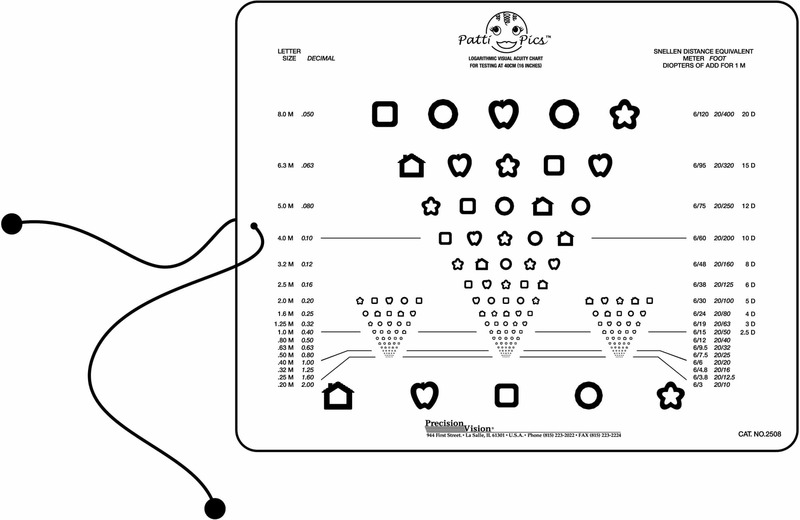 Chart also features MassVat designs for optotype isolation and easier testing of pediatrics. 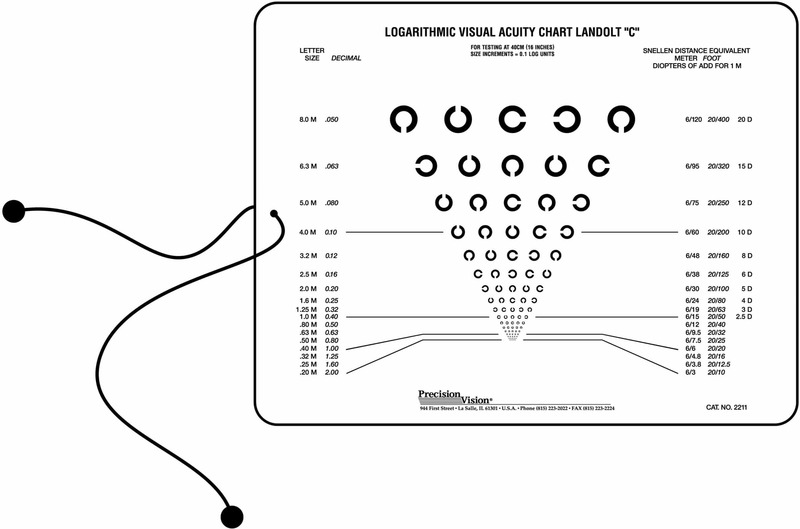 It is useful for detecting acuity vision problems and Amblyopia in children.